OAK RIDGE, Tenn.—Kyle Roach, seventh-grade math teacher at Rutledge Middle School, believes that every student should be taught the necessary skills to empower them as they pursue a higher education. 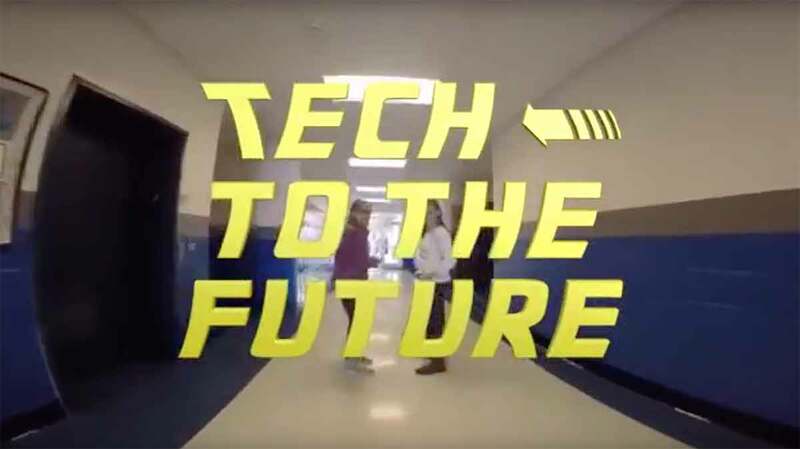 This vision, along with the idea that the school’s current technology is outdated, was the main theme in a video submitted for the 2017 ORAU Extreme Classroom Makeover Contest. Roach’s goal of having the necessary tools to help empower students and excite them about math-related subjects was realized today as ORAU president Andy Page presented Roach with a $25,000 technology makeover during a surprise assembly announcement The funding is part of ORAU’s annual Extreme Classroom Makeover competition, now in its ninth year. In the winning video Roach and his students made a case for purchasing laptops and computer software to update their “archaic communication devices,” better known as whiteboards. Roach explained that he would use the computer software to create interactive math manipulatives to assist students in learning difficult skills. 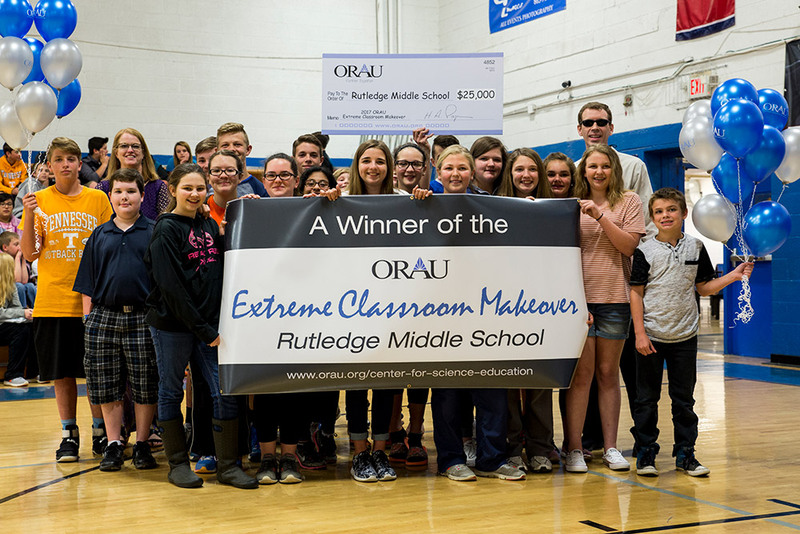 ORAU’s Extreme Classroom Makeover highlights and supports educators like Roach who are working to better the education system and illustrates how technology in the classroom helps teachers inspire more students to pursue math- and science-based careers. Contestants entering ORAU’s competition must teach math or science in grades 3-10 at a public school located within 50 miles of Oak Ridge. Additionally, a teacher must submit a short video illustrating the classroom’s need and explain how the new technologies would be used to energize and enhance learning. During the spring and early summer Roach will focus on the selection, purchase and installation of new technology to make over his classroom. Before students return in August, ORAU will unveil the redesigned classroom in a special event. Winners have typically purchased items such as additional computers, iPads, digital cameras, interactive student voting systems, televisions, Promethean boards and other technology to help advance his or her students’ learning activities.